The location is excellent - on the eastern edge of Playa de Ingles, just as San agustin begins. It overlooks the ocean. Everything in the area is clean and tidy. Easy access to convenience stores, restaurants and public transport. A perfect stay. Many thanks to Rene for being a great host! 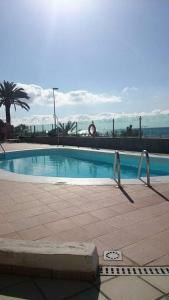 Quiet area within walking distance to San Augustin and Playa del Ingles. A clean and well-equipped apartment. Nice to sit on the balcony under the awning with the sea in front of it. Spacious accommodation in a great location. Very well equipped for self catering if you wish. For our family group of 6 adults it was perfect. The owner was very helpful in answering all of our questions from car hire to restaurant recommendations. He also allowed us a late check out which was much appreciated as we had a late flight. 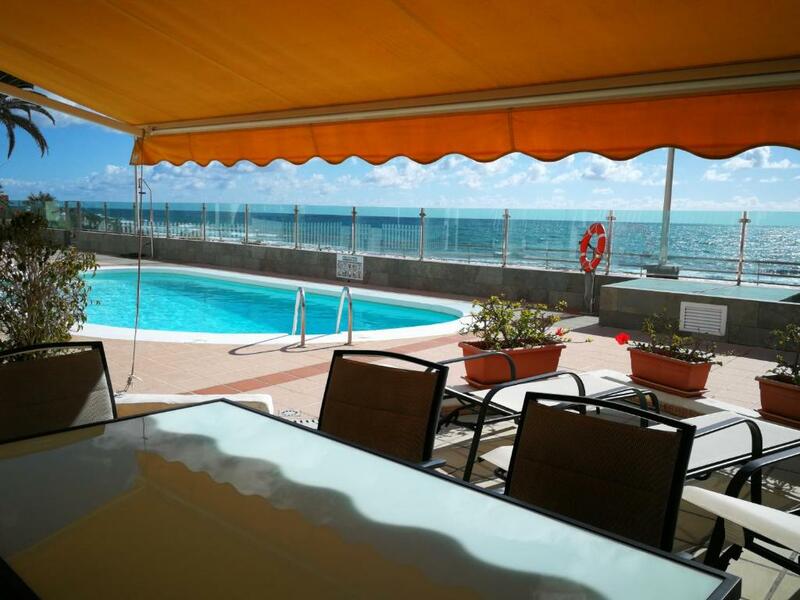 This apartment is a gem in a top location by the sea! We are a big family with 4 kids and there was enough space for all of us. We would definitely recommend this place. Location directly on the water - only a beach promenade between the house and the beach. The house is very well equipped for five people. The host was present at the property, he was friendly and informative. The property was adequate for 6 adults, plenty of equipment and crockery. Location was quiet and security of the property was good. Perfekt beliggenhet, kort vei til stranden og nærbutikk, flott strandpromenade. Fasiliteter i leiligheten er veldig god. 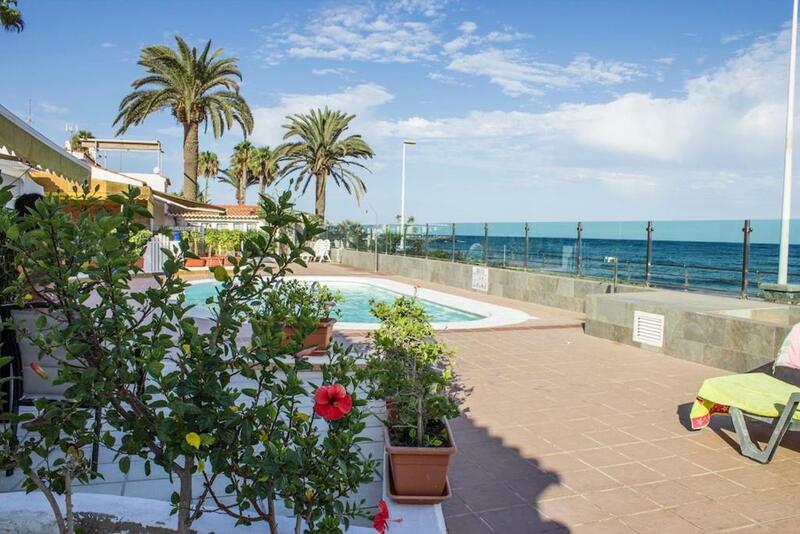 Lock in a great price for Lovely house Gran Canaria – rated 9.3 by recent guests! One of our best sellers in Playa del Ingles! 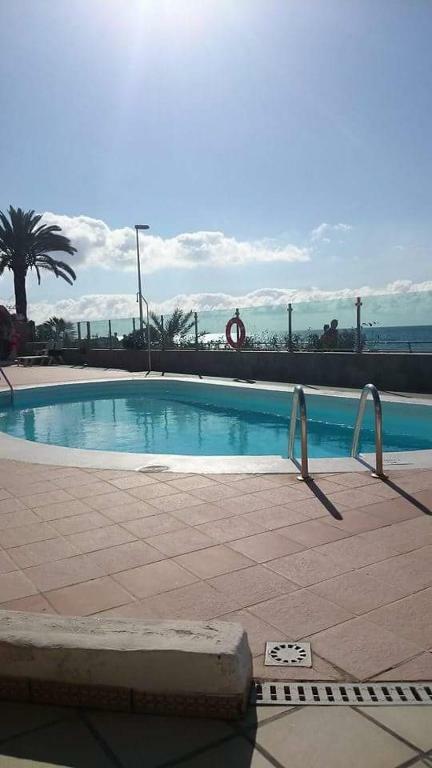 Located in Playa del Ingles, within 1.9 miles of Yumbo Centrum and 2.7 miles of Cita Centre, Lovely house Gran Canaria offers accommodations with free WiFi, air conditioning and an outdoor swimming pool. The property, housed in a building dating from 2001, is an 18-minute walk from Playas Del Veril. The vacation home is located on the ground floor and comes with 3 bedrooms, a flat-screen TV with satellite channels and a fully equipped kitchen that provides guests with a dishwasher. The vacation home also provides a bathroom with a shower. Playa De Cochino is one mile from Lovely house Gran Canaria, while Playa De Las Burras is 1.1 miles away. The nearest airport is Gran Canaria Airport, 18 miles from the accommodation. When would you like to stay at Lovely house Gran Canaria? This holiday home has a washing machine, kitchenware and microwave. House Rules Lovely house Gran Canaria takes special requests – add in the next step! Please inform Lovely house Gran Canaria of your expected arrival time in advance. You can use the Special Requests box when booking, or contact the property directly using the contact details in your confirmation. The property is advertised as three bedrooms but is actually only two bedrooms and a couple of small beds in an open, mid level space. That space can not really be used as a sleeping area as it is open to all the noises of the living spaces. So we had to move one of our children into the other bedroom, sleeping on the floor... Not ideal, but manageable. The beach directly in front is stony (this may depend on current wave action and may well change over time). There are sandy beaches within easy walking distance in either direction. No outdoor drying facilities. Limited access to good restaurants: property is wheelchair friendly but resort isn't due to steps and dangerously steep ramps. Communication was poor: it took two days to get an extra mattress that I had requested. Check out of the house was an issue. I had arranged to leave at 3pm and we organised our day around this. However, host and cleaner arrived at 11am to evict us as he had another booking. The host had our contact details and could have informed us the previous day. A sour note to a lovely week.